In layman’s terms, a medical gauze is a sterile pad that is applied to the wound to shield it from contamination and further infection of any kind. The gauze makes sure the wound stays sterile and the healing is uninhibited. In earlier times, the gauze was doused in an antiseptic liquid and then applied to the wound, but nowadays, most medical gauze comes equipped with antiseptic and antibiotic properties. What are the types of Gauze Dressings? There are three major types of Gauze Dressings based on the difference in characteristics and the work they do. 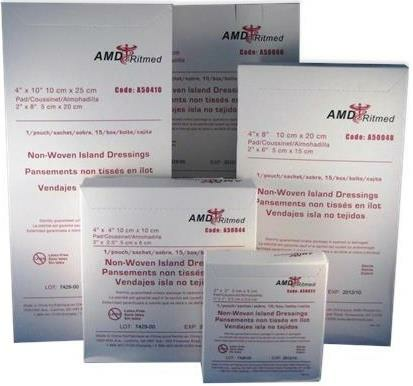 Impregnated Gauze - The dressings are completely coated with antiseptic or antibiotic liquids that help in reducing infection and promote faster healing. Wrapping Gauze - They are usually used for securing the wound so that it doesn’t get contaminated. They are made using cotton or a nylon-rubber mix to add to the padding effect. Sponge Gauze - They are not as their name is, as they aren’t made of sponge. Any gauze dressing folded into a square is referred to as a sponge gauze. Anti-microbial Gauze - Its main function is to keep microbes and bacteria away from the wound. Conforming Gauze - A flexible gauze dressing, it can be stretched or folded according to one's needs and fits all wound types. 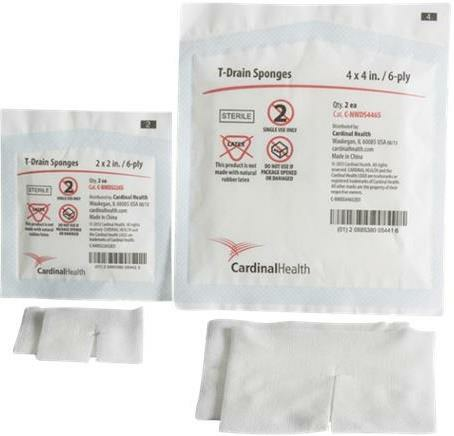 Drain Gauze - They are usually used to swab the wound so that all the blood and debris is cleared. These drain gauzes also collect the necrotic tissue so that it doesn’t infect the wound. Bordered Gauze - The borders of this gauze are adhesive so that it can easily stick to the wound without any medical tape. The center is absorbent and soaks in all the debris and blood. 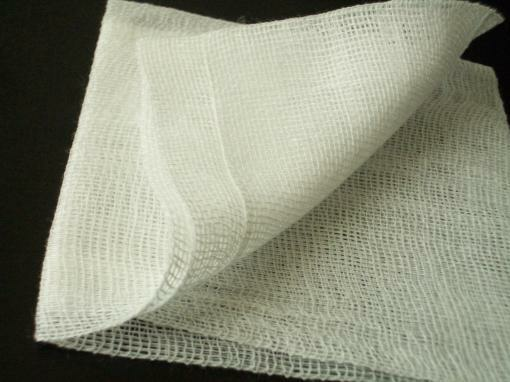 Woven gauze dressings are made of cotton fibers and hence many a time flake lint. This causes the deposition of lint in the wound which is harmful if it is a cut or a deep wound. Non-woven gauze dressings are made of artificial fibers and many a time can be allergic to some people. Also, the use of artificial fibers makes the gauze dressing more expensive than other dressings. Stems the bleeding - It closes the wound and thus helps the body to clot first and then heal the wound. Absorbs debris - Debris such as outside contaminates and necrotic tissue need to be cleaned, and the gauze absorbs all these. Reduces pain - The analgesic applied with the gauze helps clean the wound as well as reduce the burning sensation of the wound. Protects from infection - The gauze acts as a shield from outside contamination and thus protects the wound from infections of any kind. It is fairly simple to apply a gauze dressing if the wound is a basic one. If the injury is serious and the wound is deep, then rushing to the nearest hospital is a must. The wound must be cleaned properly using an anti-septic liquid thoroughly before using the gauze. Always wash your hands first and see to it that all the things used are sterile so that there is no infection of any kind. 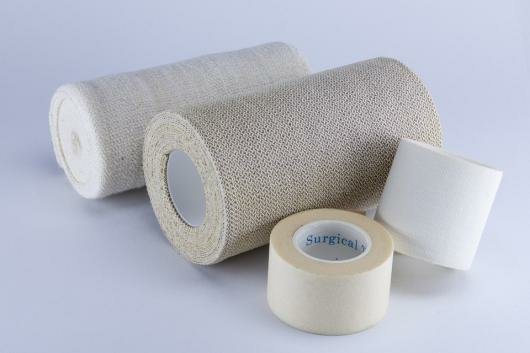 If the wound needs simple covering, then press the gauze slowly over the wound and use medical tape to pack it. If the wound needs to be packed, then proceed with a light hand and bed the wound with the gauze. Do not stuff it tightly as the wound needs to breathe. Depending on the exudate released, the gauze must be changed a number of times in the day. Gauze dressings are an indispensable part of wound care and depending on the wound, one must make sure they use the right kind of gauze. Improper handling of the wound may result in infections and further harm to health. The right kind of gauze dressing will help in the healing process and will also reduce the pain.